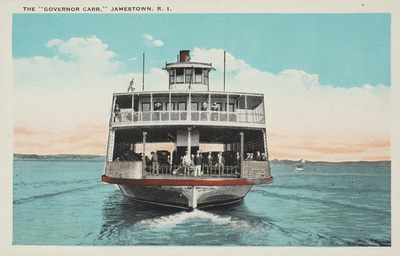 "The "Governor Carr," Jamestown, R. I." by C. A. Hayward, Jamestown, R.I. The "Governor Carr," Jamestown, R. I.
C. A. Hayward, Jamestown, R.I.
C. A. Hayward, Jamestown, R.I., "The "Governor Carr," Jamestown, R. I." (1935). Rhode Island Postcards. 143.